the central character of a much acclaimed novel, “English, August: An Indian story” published in 1988 and written by Upamanyu Chatterjee, a 1983 batch Maharashtra cadre IAS. And now, the Appointments Committee of the Cabinet (ACC) has approved Chatterjee’s appointment as the Secretary (joint secretary level) of Petroleum and Natural Gas Regulatory Board (PNGRB) till March 29, 2016, or until further orders. Chatterjee, 54, has been a joint secretary in the ministry of defence since March, 2009. He will replace 1978 batch Andhra Pradesh cadre IAS RP Watal, who last month took over as expenditure secretary under the ministry of finance. Chatterjee was earlier on a deputation to culture and education departments at the Centre. In his new role in Petroleum and Natural Gas Regulatory Board that comes under the administrative control of the ministry of petroleum and natural gas, Chatterjee will play a key part in protecting the interests of consumers and entities engaged in petroleum, petroleum products and natural gas and also promoting competitive markets. A product of Delhi's St. Xavier’s School and St. Stephen’s College, Chatterjee completed his post-graduation in English before getting into the elite Indian Administrative Service. Later, in 1991, he completed a course on international economic relations from a University in France. More than an administrator, Chatterjee is known in the corridors as a litterateur who created some of the amazing English fictions. 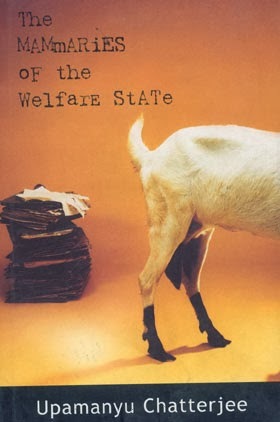 He won the prestigious Sahitya Akademi Award in 2004 for his novel “The Mammaries of the Welfare State” which was a sequel to “English, August: An Indian story”. English, August was subsequently made into a film too. “The Assassination of Indira Gandhi” is one of the most famous short-stories written by Chatterjee. His novels also include “The Last Burden” (1993), “Weight Loss, a dark comedy” (2006) and “Way to Go” (2010). Will Chatterjee now find a new plot in petroleum? Just hang in there. I read his English August during my posting in assam and quite enjoyed it especially the character of Tonicda.Having lived in Delhi myself since my childhood till 1982 when I joined Indian Railways, I could identify with Agastya's Delhi psyche! His inspiration to write about the characters in the nvel must have been real life jokers he encountered in his district training! Keen observations!